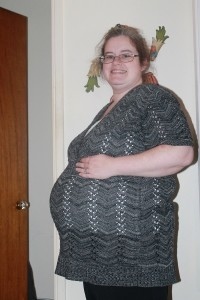 As I am writing this I am 38 weeks and 5 days along…and hooked up to a nonstress test machine. Hopefully it’ll be my last monitoring session though I have 3 more scheduled. I’m hoping I won’t need them. I’m ready to meet this baby! My body has been progressing somewhat silently so the guesstimate is he will decide to come out this week. Plus I had my daughter 10 days before her due date. I have only until my due date on December 6th for him to come naturally, otherwise my OB will insist on induction due to my gestational diabetes. My preference is an unmedicated natural birth so you know I don’t like the prospect of that. I’m trying to relax but I keep anticipating the start of labor…watching for any little sign that it is imminent. Trying not to drive myself crazy though as I enjoy these last few days as a mom of only one. I have to remember this baby will be creating a lot of change around here – not just for me, but for my husband and my toddler. Did your labor take you by surprise?